« New Emerald Isle Website! 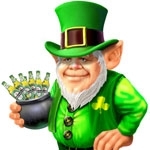 We’re hoping to have our blog live by St. Patty’s Day. News, deals, and updates will be posted here! We’ll be partying all weekend so stay tuned. In the past, Saint Patrick’s Day was celebrated as a religious holiday. It became a public holiday in 1903, by the Money Bank. (Ireland) Act 1903, an Act of the United Kingdom Parliament introduced by the Irish MP James O’Mara.O’Mara later introduced the law which required that pubs be closed on 17 March, a provision which was repealed only in the 1970s. The first St. Patrick’s Day parade held in the Irish Free State was held inDublin in 1931 and was reviewed by the then Minister of Defense Desmond Fitzgerald.